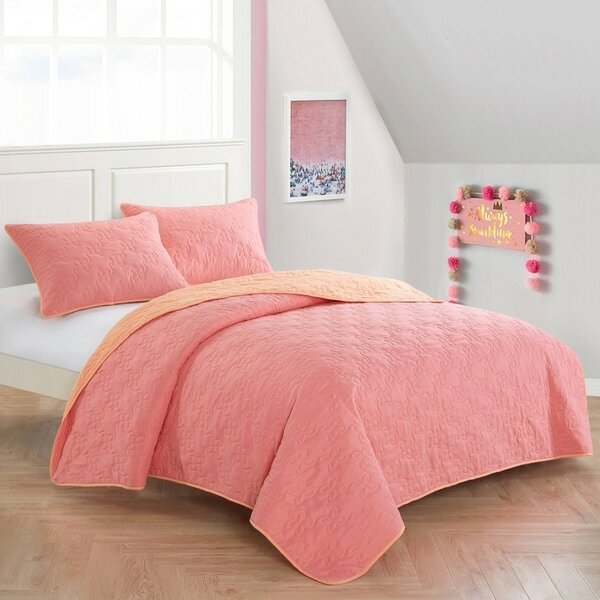 The Reversible Floral Stitch Quilt Set adds an adorable touch to your teen's room and will help them stay warm on a cool night. This item is lightweight and reversible, featuring vibrant colors to brighten up any area. The kids' bedding quilt is made from 100 percent polyester, offering durability and softness. For easy care and convenience, it is machine washable. Full set measures 76"x86" and includes (2) Standard Shams. Dimensions 86.0 In. X 76.0 In. X 0.5 In.